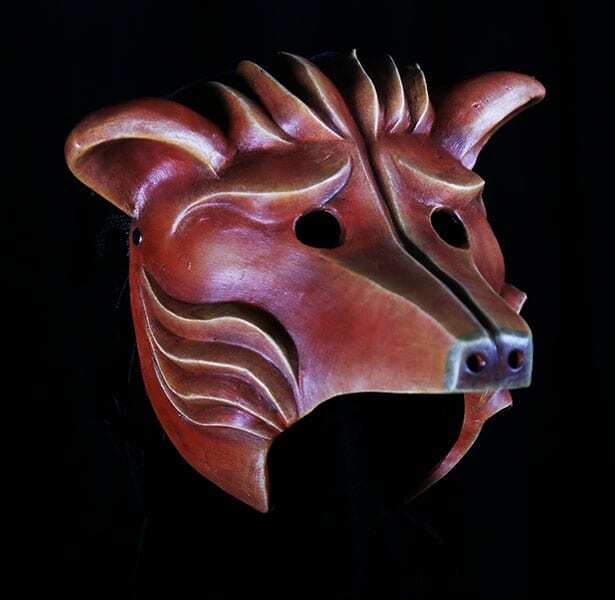 View cart “Hyena Head Piece” has been added to your cart. The dog mask is an animal mask fashioned after the Dingo or maybe just a mutt of many breeds. The dog is happy to sleep in the sun, run in a filed or just wait for you to come home. It’s exciting being a dog when outside in nature relaxing… SQUIRREL!…. This mask create for an elementary school teaching in 2017 as part of a set of animal masks for the students to play in and make stories about. The mask is made out of neoprene and is held to the head with an adjustable strap.